How and why a person comes to be possessed by a dybbuk (the possession of a living body by the soul of a deceased person), and what consequences ensue from such possession, form the subject of this book. While possession by a dybbuk may have been understood as punishment for a terrible sin, it may also be seen as a mechanism used by desperate individuals â€“ often women â€“ who had no other means of escape from the demands and expectations of an all-encompassing patriarchal social order. 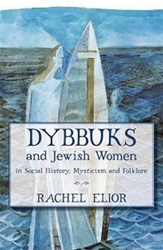 Dybbuks and Jewish Women examines these and other aspects of dybbuk possession from historical and phenomenological perspectives, with particular attention to the gender significance of the subject.